SRINAGAR: Three-and-a-half month after Kupwara was declared the least improved district in entire country, sitting at last place in the list of 108 most backward districts released by the NITI Aayog, the Chief Executive Officer (CEO) of the Central policy think tank Amitabh Kant was full of praises for Kupwara, along with Baramulla, for the impressive progress made by both these districts in upgradation of basic amenities for the people under the Aspirational Districts Programme. Kant, who had arrived in state on a two-day-long visit, conducted an extensive tour of these north Kashmir districts to personally take stock of the progress made under various developmental indicators of the programme, an official spokesman said Sunday. During his visit to Kupwara, the Niti Aayog CEO visited various sites and inspected the developmental projects in Machil and Handwara areas. He also inspected the water reservoir constructed at Badkoot, Wadipora. 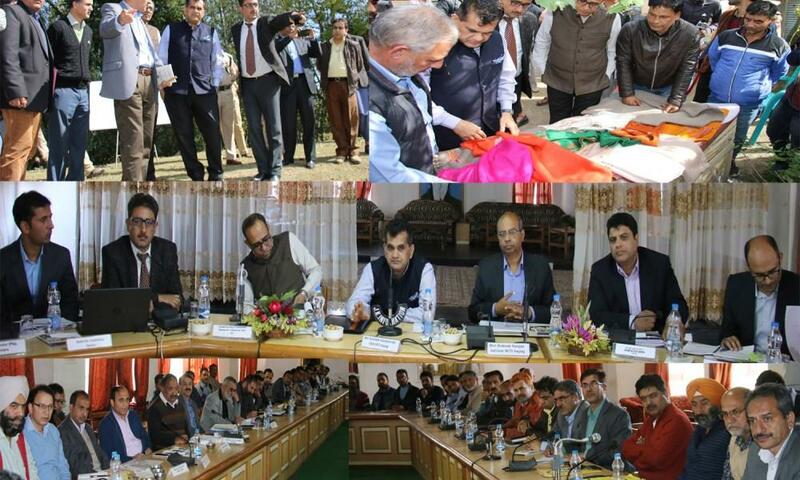 "Visited Kupwara district in Kashmir to review the progress of #aspirationaldistrict scheme. Delighted to meet local people & a highly motivated & committed team of officials led by Collector Khalid (Jahangir). District has made rapid progress in all indicators particularly health. Congrats!," Kant tweeted. In another tweet Kant said: "Wonderful to see electricity reaching every single household after 71 years of independence in far flung #aspirationaldistrict of Kupwara in Kashmir. Great work under Saubhagya in a mission mode. This is bordering PoK & huge challenges have been overcome. Thanks 4 initiative @PMOIndia". "Visited Baramulla #aspirationaldistrict of Kashmir. Amazing experience visiting the District hospital. It's one of the finest, cleanest, most well equipped hospitals with a highly dedicated team of Doctors & staff. Delighted to inaugurate the Dialysis Centre. Gr8 (great) work by district team," he tweeted. Kant assured full support from the central government for implementation of the activities identified for both the districts under the Aspirational District programme, the spokesman said.